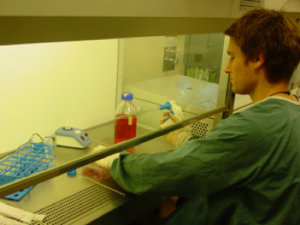 Scott worked as a Research Assistant on a grant to investigate the biological activity of phytochemical antioxidants during 2008. This work was done in collaboration with Assoc. Prof. Kevin Gould (Victoria University, New Zealand). Scott left to travel overseas before taking up a position in a law firm in Auckland.